Jelly Bean, where are you....?? using motorola razr maxx for over 7 month, the phone quality is great, battery is very good also, just received the latest software update and its work very smooth than previous!! ..., 01 Jan 2013hi guys, which one should i get? galaxy s2 or razr maxx?Actually I was between the SGS2 and Razr Maxx 4 months ago when I got my contact. I chose Razr Maxx because it's a newer model, has a brighter screen, I like the stock ICS UI a lot more than Touch Wiz, more premium and better looking build quality and the great battery is a big plus. I'd have missed the FM radio or the RGB matrix on the display but the advantages of the Razr Maxx overweights its very few disadvantages over the SGS2. Anyway you won't regret choosing any of both phones. It's a safe bet. ..., 01 Jan 2013hi guys, which one should i get? galaxy s2 or razr maxx?Obviously Razr Maxx. Samsung is no match to Motorola. hi guys, which one should i get? galaxy s2 or razr maxx? What countries the Droid Maxx can update to Jelly bean? We are awaiting for the JB for R.MAXX in India... Guys any idea about this rollout in Asia? a big two thumbs up for motorola! fonck5, 28 Dec 2012motorola razr maxx, as many has posted in here.. What a battery!! However, I would like to as ... moreI'm a Razr Maxx user and while the pixel density is lower than SG SIII I feel the Razr Maxx has the upper hand in brightness levels. Pictures look gorgeous on my screen and just very small text on Web pages would look compromised on this screen (easily solved by zooming) . HSDPA speed is fine. Camera is good on daylight, it takes pictures with almost no lag (flash disabled). Colors aren't as punchy as SIII but look more natural on the Razr Maxx. Night shots aren't recommended, flash is only useful for 2 meters or less and disabling flash would bring low noise but some blur to the pictures. Video recording is above average with stereo sound and they look great on my HDTV (it includes the HDMI cable). Dual core processor is smooth (more with the 4.0.4 update) most of the time but as any Android device it'll lag when the RAM is full. Build quality is top notch and I'm glad Motorola didn't take the other's way to just put as many plastic as they could. So that's it, if you have more doubts please let me know. motorola razr maxx, as many has posted in here.. What a battery!! However, I would like to as anyone who can answer this.. Is motorola razr maxx's screen comparable to SGS3??? How is the speed on HSDPA?? Iwhat about the camera, which is the spec I find the least opinions.. I trully want to buy this phone, but I wish I could know if I would enjoy the screen... Im a deep phone review, but I want to know this from a motorola razr maxx user.. Thank you! 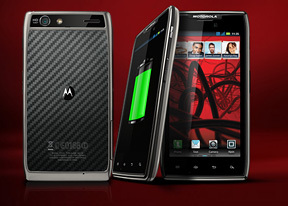 AnonD-91531, 21 Dec 2012What's the difference between the Droid Razr Maxx and the Razr Maxx? Anyone knows?droid one got lte. AnonD-91531, 21 Dec 2012What's the difference between the Droid Razr Maxx and the Razr Maxx? Anyone knows?Its the same phone. Razr Maxx is the unlocked version of the Droid Razr Maxx. Total of 958 user reviews and opinions for Motorola RAZR MAXX.